The United Nations Human Rights Council(UNHRC) is preparing an investigation as to whether or not Israel has committed war crimes during the recent operation in Gaza, questioning whether or not enough has been done to protect civilians. Once again corruption stands in the way of what could otherwise be a righteous mission. They do not destroy their credibility by investigating Israel, they destroy it by only investigating Israel. By conveniently leaving Hamas out of the investigation, the UNHRC is transparent in its anti-Israel stance. An investigation that would be acceptable if it was in conjunction with an investigation of whether or not Hamas is doing enough to protect Israeli civilians, has now become another example of the UN’s hypocrisy. The inconsistency is so glaring it is bizarre that it is not ridiculed and attacked outside the Jewish world. Israel targets Hamas military locations, Hamas targets Israel’s population centers, yet only one side gets investigated. And it’s not the side you would expect if you would read the previous sentence without bias. The hypocrisy is glaring and disgusting. 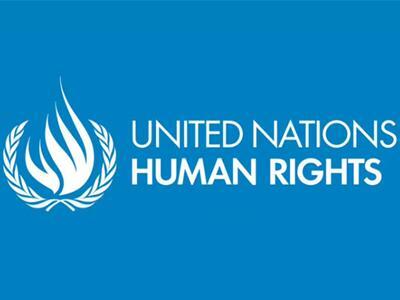 Any human rights organization has the responsibility of being objective and thorough. If 2 acts of violence occur on a local level, the police are required, and justifiably so, to investigate both actions, even if one was clearly a crime and the other an act of self-defense. A conclusion must be drawn that if you have done the right thing, an investigation will identify that. If you were in the wrong, an investigation will show that as well. In only investigating Israel the United Nations is once again showing why it is the most corrupt organization in world history. If the goal was for justice and world peace, they would search for the truth rather than for a way to justify their bias. It is not the first time Israel has been targeted by the UN and it most certainly won’t be the last. It is time that people woke up to the hypocrisy of an organization that is taking civilization down a tragic path. Unfortunately there is no sign that people will want to wake up to that reality that any time soon. This entry was posted on Wednesday, July 23rd, 2014 at 3:33 pm	and tagged with anti-Israel, Gaza, Hamas, Israel, Jewish, UNHRC, United Nations, United Nations Human Rights Council, war crimes and posted in Uncategorized. You can follow any responses to this entry through the RSS 2.0 feed.